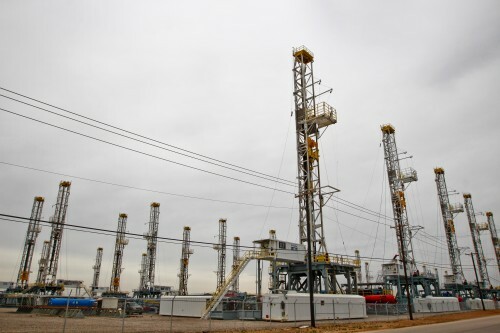 ODESSA, Texas — Mexican venture capital is hovering over distressed energy companies in the Permian Basin of Texas, the nation’s highest-producing oilfield. Those companies – including oil and gas drillers, and service companies – crafted budgets when the price of crude oil was 100 dollars per barrel. It’s now in the 50s. And those companies need capital that U.S. banks are sometimes reluctant to give in an oil downturn. “This is a buyers’ market right now,” said Carlos Cantú, an investor from Juárez. He’s one in a stream of Mexican venture capitalists wanting in on U.S. oil and gas. Right now, the smaller players in the energy industry—operating on thin margins—can collapse without new capital. Cantu was part of a group of Mexican CEOs recently visiting Odessa, Texas, in the heart of the Permian Basin. “There’s lots of opportunities right now here in Odessa,” he said. He wants to buy or invest in American companies that need an infusion of cash if they are to survive. The federal Energy Information Agency (EIA) says the world has a surplus of a million barrels a day. But the agency also predicts the glut will shrink sharply next year. Cantú wants to buy distressed companies now. And he says, Mexican companies that work the Permian Basin now and learn the tricks of hydraulic fracturing will have an edge at home once contracts are bid to drill northern Mexico’s shale deposits. “The win-win situation becomes gigantic,” he said. Cantú’s went to scout a prospective acquisition target, an equipment company. The company is near a gravel lot in Odessa that speaks volumes about the contraction in the oil business. It’s a week by week growing collection of oil rigs brought in from the field because operators are scaling back. Cantú was here with Jorge Uranga. “We’ve found 24 business leads here in the Permian Basin. And now we’re doing market research on these business leads,” he explained. Uranga runs the state of Chihuahua’s Energy Project, an agency formed to promote investment in Mexico’s domestic energy sector. Mexico’s changed its constitution in 2013 to allow foreign energy companies to work in Mexico. “We think the projects for oil and gas, exploration and drilling, is going to happen in 10 years or 15 years,” said Uranga. And it’s not just Mexican money, said energy analyst Jim Wicklund at Credit Suisse in Dallas. “Toward the end of last year is when you started to see the private equity money really start to raise. And it ballooned in the first quarter of this year,” he said. Wicklund said between 100 and 108 billion dollars has been raised by private equity in the last few months. Some of that venture capital comes from firms that are recommending that clients invest in energy funds created to take advantage of depressed crude oil market. The firms have already raised $15 billion for general energy investing in recent years. Carlyle Group LP, Apollo Global Management LLC, Blackstone Group LP and KKR are raising billions more for new funds created in the past few months to invest in distressed oil producers. “The U.S. rig count has dropped faster than any other down cycle. And the private equity money raised to take advantage of that drop has been raised faster than we’ve ever seen,” he said. In the Permian Basin, one of the people the Mexicans investors rely on in their hunt is Kirk Edwards. “This is probably my seventh meeting with them,” said Edwards. He tells would-be investors to proceed with caution. “It’s very difficult and it’s very expensive to be in this industry. And it’s very risky,” he exxplained. Along with domestic, Chinese and Russian interest, Edwards confirms the Juárez visitors are part of a huge pool of money that’s ready to pounce. “There’s probably a hundred billion dollars of private equity that’s been raised just in the last six months to look into distressed companies that are in Texas, in the Bakken,” he said. That’s the Bakken Shale in North Dakota. Bloomberg Intelligence reports there are 4700 drilled wells in the U.S. that haven’t been completed while oil producers wait out the downturn. The group from Juárez wants to hit the ground running before that happens. 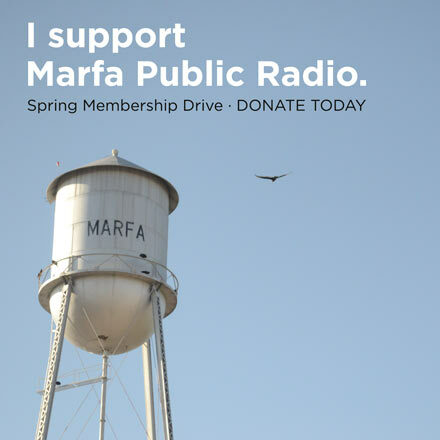 This story was reported by Lorne Matalon in collaboration with Fronteras, The Changing America Desk, a consortium of NPR member stations in the Southwest. This entry was posted in KRTS News and tagged credit suisse, crude oil, distressed energy companies, jim wicklund, kirk edwards, mexico energy, mexico energy reform, oil, Permian Basin, venture capital, WTI, WTI price. Bookmark the permalink.